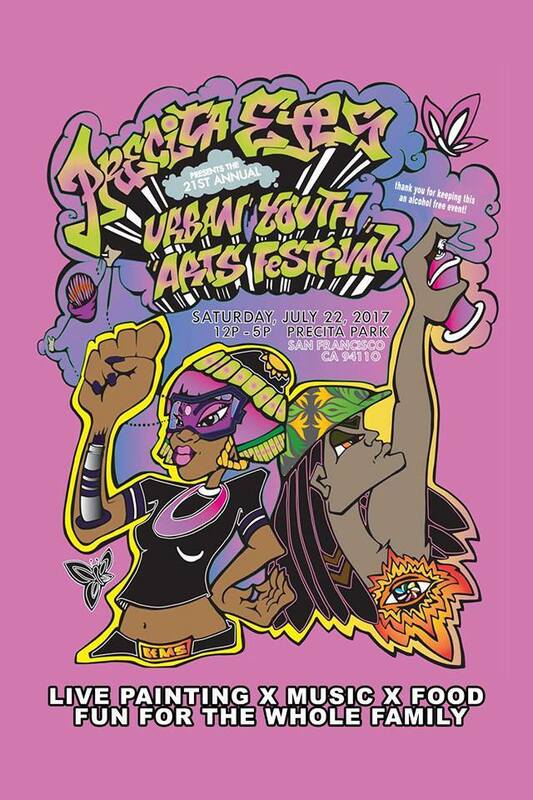 Precita Eyes’ Annual Urban Youth Arts Festival at Precita Park has always had a high community presence. “Everybody is very supportive of what we do,” said Yuka Ezoe, the Education Director of Precita Eyes Muralists, a community-based non-profit mural and arts education group. Many of the volunteers who help out grew up going to the festival and appreciate what Precita Eyes Muralists does to provide under represented youth between the ages of 11 and 19 with a safe space to redirect their energies into art making. The festival is also an opportunity for young musicians, poets and dancers in the Mission to perform for the community. “We are building a wall on the self-standing easel,” said Ezoe. At the festival on Saturday July 22 there will be 500 feet of surface for everybody to paint. There will also be community youth organizations teaching youths how to collaborate and create a mural with spray paint. Younger kids will not be left out as there will be a hat painting and face painting station. The festival in past years has drawn as many as 300 people. 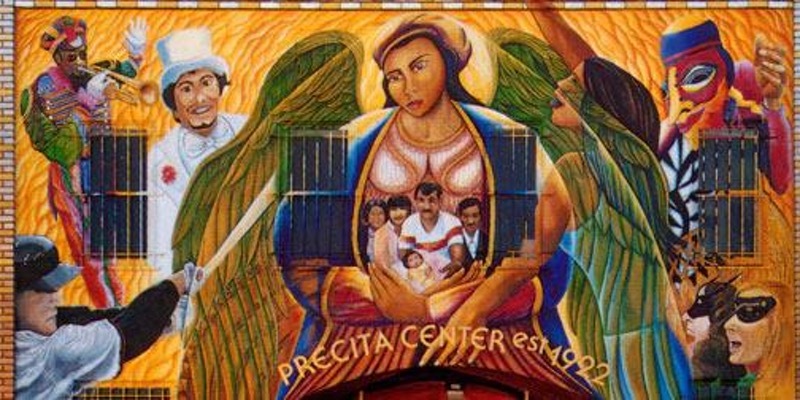 This year marks the festival’s 21st anniversary, while Precita Eyes will celebrate 40 years in the Mission with a gala on September 30th. The 40-year organization has allowed people to contribute to what their communities look like and how they are portrayed – its murals beautify and preserve the memories and experiences of the people that paint them. The festival is a way of making sure that the young artists of the community continue the empowering legacy of turning stories and histories, particularly of people of color, into art. Painting at the festival gives good experience to youth, said Ezoe, because it gives them an outlet to express and represent themselves. “We get a lot of good outcomes, a lot of bloom,” she said. The youth festival is a space for young artists to reflect on their experiences, find inspiration and express themselves in a fun and supportive environment.